Creativity is often regarded as a key ingredient in professional success, regardless of field, and rightfully so. Whether you’re a scientist trying to figure out a solution to one of the world’s great problems, a therapist trying to break through with a difficult patient, or a coach looking for new ways to motivate your team, creativity is an essential component in achieving your goals. But for businesses, creativity can often be seen as make or break. It’s not just about thinking differently as we attempt to solve problems, but finding the most creative ways to communicate how we go about the solving. In a world where dozens of companies are promising the answer to any given question, creative competitive positioning is frequently the only way to make sure your solution gets top billing in the target audience’s mind. 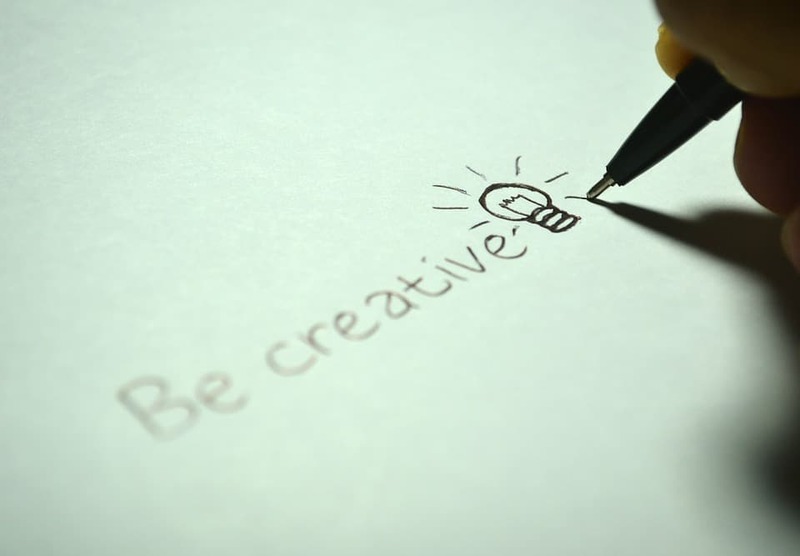 But to say creativity is a necessary part of business success is a lot easier than delivering on creative messaging. Especially in a digital world that moves at warp speed, it’s not difficult for brands to get to a point where they’re settling for “good enough” in order to keep pace with the demands of the marketplace. Breaking out of that cycle can be challenging. But it doesn’t have to be. Science says so. Creativity is usually discussed in a very abstract fashion; it’s an intangible and fickle commodity that’s impossible to teach or manufacture. At least, that’s always been the assumption. Recent research suggests otherwise. In an October 2016 study out of the University of Kent, researchers Anna Jordanous and Bill Keller sought to define what, exactly, creativity was. They, too, found that discussion of creativity frequently took place in the abstract, but they also found that there were common threads in academic circles when discussing the nature and diverse manifestations of creative processes and outputs. Using natural language processing and statistical analysis, they conducted an empirical analysis of the way language was used to describe creativity. 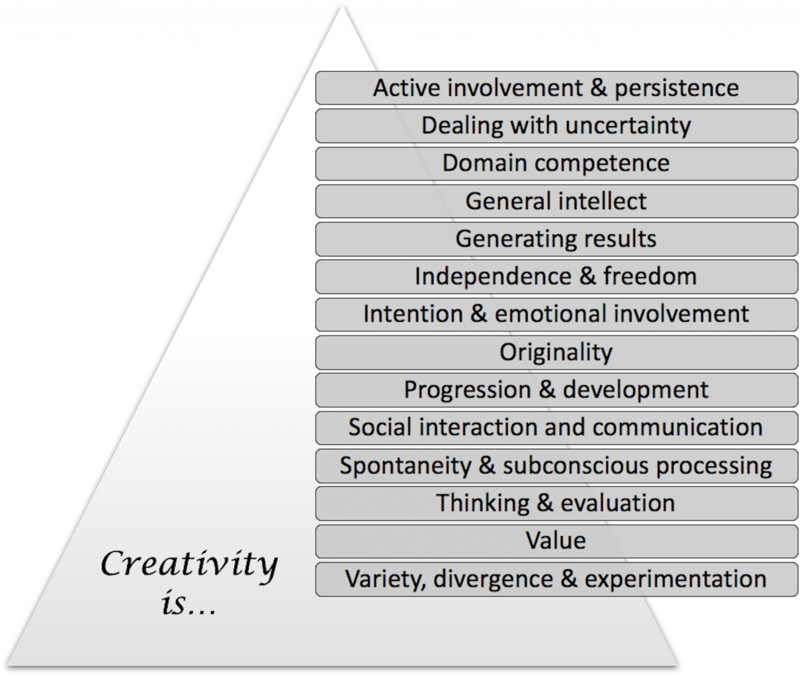 They then analyzed the results using a confluence approach, which rests on the idea that creativity exists at the intersection of specific attributes rather than being derived from a single factor. What they found was that 14 specific ideas continuously surfaced in conversations about creativity. While there are certainly ideas in this mix that remain intangible, the most interesting takeaway is that the bulk of these ideas relate to process, not inherent ability. Creativity appears to have much more to do with how we practice in our given realm than it does some innate quality. In other words, it is something that can be cultivated under the right circumstances. Additional research from November 2016 supports and expands upon the idea that creativity can be developed. Researchers from New Zealand, Minnesota, and North Carolina worked together to determine the impact of creative activity on well-being and future creativity. What they discovered was that creative activity led to a positive impact on an individual’s enthusiasm and energy, which lead to greater creative activity. Each day of creative engagement compounded the positive effects of the days preceding it. These two studies, held relative to one another, carry an important lesson: if creativity is process driven, and continued creative engagement leads to increased enthusiasm and creative output, there is no need for businesses to hit that creativity rut. It’s said that practice makes perfect. That seems to apply to creative endeavors as well. Crowdsourced design projects mandate active involvement and persistence as well as social interaction and communication in order to yield positive results. Interaction with the dozens of designers participating in your project is key to making sure your vision is realized, lending itself to the necessary elements of progression and development. It requires clear stated intentions and desired emotional responses for the designers to deliver a final product you can be proud of, but the lack of direct control also forces practice in dealing with uncertainty within a realm of already established general intellect and domain competence as you grand independence and freedom to the designers seeking to win your business. The litany of design concepts you’ll face force you to balance the often competing forces of thinking and evaluation, spontanaeity and subconscious processing, value determinations, and an openness to variety, divergence, and experimentation as you move forward in your quest for originality. In other words, posting a crowdsourced design project is a perfect starting point (and refresher) for those trying to foster sustainable creative efforts within their business. You get a one week crash course designed to make you think differently about how you approach the creative process, and a stellar final result to boot. So what are you waiting for? Take your creative needs to the crowd and jump start your in-house creativity today!